#1 Do You Set Off Running Too Fast So You Have to Stop Within Minutes of Setting Off? #2 Are You Using One of the 'Giveaway' Half Marathon Training Schedules to Plan Your Runs? #3 Have You Set Yourself an Unrealistic Target to Run Most Days? Once You Read Every Word of This Free Report, You'll Find Out Exactly Why Any of These 3 Mistakes Could Spell Disaster For Your Training..."
re you looking for a half marathon training program to help you get started, or have you already downloaded a FREE, 'one size fits all' running schedule from one of the popular running or charity websites? If you have, I guarantee you won't be able to run a half marathon at the end of it! You'll find out the most most common mistakes all new runners make and learn how to avoid making them yourself. You'll understand the reason why most novice runners, quickly lose interest and never manage to keep going more than 2 weeks in to their program. You'll discover how using these 'secret' advanced training techniques throughout your half marathon training will transform your fitness and stamina levels in just days never mind weeks. As well as this, these great little strategies will actually reduce the overall time you need to spend training. You just want a hobby and an interest, something that gets you out of the house and gives you the opportunity to meet new people. Running appears to be a good choice because you don't have to learn any new skills, it's free and you can do it anytime! You start off determined to run every day, at least that's the plan, but after a couple of weeks, you don't seem to be getting any better and you lose faith in your training. Before you know it you're finding other things to do with your time and your interest in running is rapidly ebbing away. After only a few attempts you start to feel pain in your legs especially around the knees, ankles or feet and this puts you off making plans to do any further runs. So you think it's best to wait until things settle down a bit before you have another go. You manage to get out and run regularly and actually enjoy it, but you just can't seem to keep going for any longer or faster no matter how much effort you put in. You love the thought of being able to run. The fact that you're fitter than most and are taking care of yourself is a wonderful feeling, but when it actually comes down to it there's always something else you find to do other than your training...cleaning, shopping, reading, paperwork...you always manage to find something! Your life is too hectic, it's hard enough to keep on top of all your other day to day tasks let alone spending some time on a new hobby which you expect will take up any spare time you never had! As soon as you set off, you start breathing like a steam engine, your face feels like it's on fire and your legs get so heavy it's as if you're wearing lead boots. Does half marathon training really have to be as hard as this? "These manuals will be a great asset if you've decided to run a half marathon and are looking for advice on how to prepare. It breaks down all the elements of preparation in to easily readable chunks, with plenty of hints and tips on keeping yourself motivated. The training programmes range from total beginner to the more experienced runner who's run shorter distances already. There are a variety of techniques explained, which will help to keep your training varied and challenging. One of the most useful sections is the advice on preparing for race day itself, from what to expect, what to eat and what equipment you'll need. And unlike other race advice this manual also explains what you should do to help your body recover after the race. 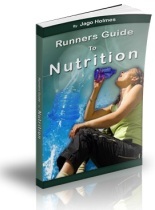 I'd definitely recommend this training manual to anyone who is going to run a half marathon, although the knowledge contained within the guide is something that will prove useful to help you maintain a healthy diet and keep a regular exercise plan in the long term." But Firstly, Why Would You Want to Listen to Me and What Do I Know About Training to Run a Half Marathon? Please allow me to introduce myself. 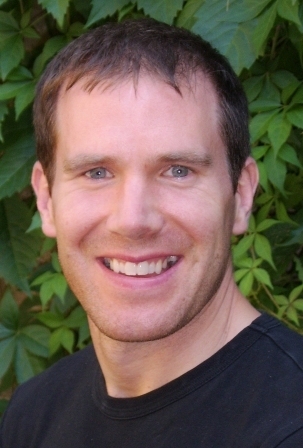 My name is Jago Holmes, CPT, and I'm a fully qualified and experienced personal trainer who has worked with many beginner runners from all walks of life and varying levels of fitness over my long and rewarding 10 year career. I've personally worked with many of these clients to help them through their half marathon training, taking them from complete beginners right through to accomplished runners in an amazingly short amount of time. Together we overcame many hurdles and disappointments and it has been a wonderful learning experience for me. To help future clients avoid making the same mistakes as the ones I've worked with in the past and to fast track their fitness and stamina levels to new highs, I decided to develop a half marathon training program specifically for beginners. As far as I'm aware, this is the only one of its kind. A totally unique training guide that's both fast and effective. It teaches beginners exactly how, when, where and what to do so they quickly learn the secrets of being able to run effortlessly for as long as they want to without injury, fatigue or fitness levels holding them back. I've seen this done the wrong way many times by my own clients, in fact this was how I uncovered many of the training secrets and running tips that you'll find contained within this program. But once you understand how it should be done, your half marathon training and the race itself may well be one of the most rewarding and uplifting experiences of your entire life. What They Don't Realise is That the Biggest Thing I Do For Them is Give Them a Direction and a Plan of Action To Follow...It's This That Gets Them Motivated, Not Me! If you don't have a direction to move in, how can you possibly arrive at your destination? By using a haphazard approach to your training, it probably just won't get done. You won't see the improvements you were hoping for, your running won't ever feel any easier and you'll quickly lose motivation. With no one to motivate and inspire you with your running or a plan to follow you'll soon lose interest and your new found hobby will be just a thing of the past, something you tried, but that hasn't work for you! At times you'll find a hundred and one things to do instead of your half marathon training. Work to do, the kids are playing up, you feel tired...unfortunately if you give in to these distractions, your workouts simply won't get done and because you aren't being consistent, you won't get any fitter. We all know that people enjoy doing things they're good at, but don't like spending time working on things that they aren't. However if you're going to get better at anything, you need to commit the time and effort to it. It's very unlikely that you'll be a natural who can put on a pair of running shoes and run for miles at the first attempt. ...I can't think of anyone I've ever met that had that amount of natural talent! The Problem With Most Beginners is They Never Take the Time to Plan Their Half Marathon Training or Set Themselves Targets and Goals. Anything that has ever been achieved in life was probably planned and thought out carefully beforehand. If you don't have a half marathon training schedule, a road map to success, then unfortunately you're very unlikely to accomplish your goal of running a half marathon. Perhaps one of the most powerful tools you can use in getting yourself motivated and taking action is to set yourself some goals and targets. Once you've written them down, you'll have made a commitment which is far more likely to be achieved than something that is vaguely floating around in your head. Unfortunately most beginner runners start to lose the desire to run long before they've made any real progress. If they haven't set themselves any targets in the first place, then they have nothing to aspire to, there is no end result in sight. You Too Probably Have the Wrong Idea About How Much Time and Effort You'll Need to Spend on Your Training to Run a Half Marathon, You Probably Think There's No Way You Could Spare the Time! I'm sure if you've ever tried to run even the shortest of distances, but found it hard work, then you're no doubt thinking that you'll have to commit so much time and effort to getting any better. As you may be aware, it takes the average runner around 2 - 2 ½ hours to complete a half marathon. However this doesn't mean that every time you go out running need to run for this amount of time. You should do some longer runs towards the end of your training, but the majority of your sessions will be as short as possible, so it definitely won't eat up every spare minute of your time! Most people believe that half marathon training will have to take over their life, they'll never get chance to see their friends or watch their favourite TV shows. This is one of main reasons why they don't get started in the first place. Unless you're a sport addict and watch it at every opportunity you've probably only ever seen running on TV. The problem with this is it's usually only the big marathons or triathlons that are featured. The images you'll see of the runners going for hours, create the idea that you too will have to run for miles and miles in preparation for your own race. Just wanted to drop you a line to thank you for your excellent training schedule. I had never run before until I used your training programmes but now I can run longer distances very comfortably. In fact just recently I ran the Hoy half marathon. I've sent you a picture of me running towards the end of the race. I thought you might appreciate it. A Very Common Runners Blight is the Picking Up of Niggling Injuries or Aches and Pains. Most beginners start their half marathon training under a burst of enthusiasm and passion, they run as often as they can, for as far as they can. However your body doesn't respond well to this type of instant overload and you'll more than likely suffer from tired muscles, aching joints and sore feet. When you first get started it's very usual to begin feeling any old injuries or niggles you once had. This is a real progress stopper and you'll feel extremely demotivated if it does happen to you. How would you manage if you did pick up an injury because of your running. How could you get to work, to the stores, take care of the kids, walk the dog...everyday life would be very difficult! If You Just Can't Face the Thought of Being Seen Outside Running Because Your Face Goes Bright Red, You Start to Breathe Heavily and You Look About as Athletic as a Newborn Lamb! Then Wouldn't it Be a Better Idea to Get Fit First and Shed a Little Weight Before You Got Started? Theoretically that makes sense, but could that actually work. If you want to get fitter then surely you need start doing some exercise? And the only way to become a better runner is to actually go out and run, and run regularly. Now I know nobody likes the thought of being watched whilst exercising, with the sweat pouring down our flushed faces as we trundle along trying to get fitter. But unless you do all of your half marathon training on a treadmill, you're going to be doing some of it outside in the fresh air, especially if you do commit to running a half marathon. So you're going to have to get used to it! "This half marathon training program became an eye opener for me. It brings you from the very start of the idea of running a half marathon to the finish line. This program gives you the motivation and tools to keep you running and stay in state to make that half marathon a personal success of excellence. The program provided me with a whole new map and knowledge to improve my running and exercises. With the right intake of food and nutrition, practice and improving my running routines, things started to make a change. I now manage to run longer than I used to. I changed my routines and run in different pace and terrains to get the most out of my running and my strength. I’m highly grateful for the program and the new knowledge it provided me. I’m especially thankful for how it took me from the beginners level which I use to be, and to this day where I run with more passion and where I feel I’ve increased my personal success and brought it to a whole new level. What still surprises me is when someone decides they're going to start running, they do so without any real thought, planning or preparation. They certainly have no idea what it is they're trying to achieve or how to encourage their body to change so they become fitter. For example probably the biggest mistake that most new runners make is to set off at the beginning of their run, like a dog out of the traps...way too fast, meaning within a short distance they need to stop because they're too tired and breathless to carry on. This is one of the worst ways of getting better at running because you'll need to rest after only a short amount of time. Your heart and lungs haven't had the chance to get thoroughly warmed up and can't supply enough oxygen rich blood to the legs in time so you have to stop straight away. Training this way means you'll never build up any endurance. Because you can't build up the distances you're running, you won't improve your stamina and there's a very high chance you'll become demotivated and lose interest long before you see any real progress. Instead you should begin your training by walking briskly or jogging very slowly, depending on your level of fitness. Once you can manage this easily, then you should move on to introducing some running in to your sessions. However you do need structure to your half marathon training otherwise, you'll only end up doing the same things every time and because of this you won't get any better. 'WHATEVER EXERCISE YOU DO, FOR IT TO HAVE THE DESIRED EFFECT, IT ABSOLUTELY MUST BE PROGRESSIVE', this means that your workouts have to constantly change and improve, you need to make small and regular changes to the things you are currently doing, for example you could run a little faster, try to go further or train more often. Small changes and improvements will do, but there must be changes. But There's Another Reason Why Most Newbie's Never Make the Progress They Were Hoping For and Give Up Demoralised and Defeated After About 2 Weeks in to Their Half Marathon Training! And the reason is this...they expect too much. They have very unrealistic expectations of how long it's going to take them to get fitter and they do too much too soon. Whilst their motivation is high at the beginning of their half marathon training, they make the mistake of running too often, too fast or far. The reality is that they only need to do a fraction of this to ensure steady and consistent progress. Because they expect too much too soon, they attempt to force their bodies in to changing far quicker than they are capable of doing, but it rebels by shutting down. Doing too much can take you in to a overtrained state because you are placing too much stress on your nervous system which just can't cope. As a result of this you'll feel run down, tired and lacking in energy. The alternative to this is to follow a well balanced half marathon training schedule that gives your training some structure and meaning. Your schedule should allow for at least a days rest in between challenging workouts and you also need to get in to the habit of listening to your body. If you genuinely feel tired or run down, be mature enough to take a break from your training for a day or so. If Your Idea is to Simply Plod Along During Your Half Marathon Training, You'll Take Forever to Get Fitter. But if You Want to Take the Fast Track Route, Hold on to Your Hat, the Changes Will Be Remarkable! Outdated running coaches may well suggest that you simply need to get out and run, but that is far from what modern day training techniques are all about. These new and advanced approaches to running help your body change much faster, adding exciting and effective ways of improving endurance, speed and stamina in to the mix. Using these techniques will encourage your body to change quickly, by working for shorter periods but to a slightly higher level of intensity. This means your workouts take less time to do, but you get fitter much faster. This way of training is so effective for three reasons. Firstly it saves you time, you don't have to spend hours and hours a week to get the same results. Secondly it literally explodes your fitness levels to a new high and rapidly boosts strength, endurance and stamina . Thirdly, the fact that you aren't doing too much means you're far less likely to pick up injuries and because your workouts aren't too long, you're not placing the same amounts of repetitive stress on the body or nervous system. Basically any changes or different stimulation you can give your body will result in a positive improvement and this is especially true throughout your half marathon training. But if you want to see the same results you've always seen then keep doing what you've always done. Otherwise shake up your training and give your body a reason to change. 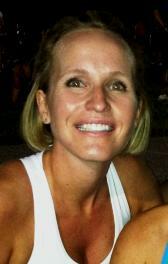 "I purchased your Half Marathon Training Program and I loved the program. I have never ran before in my life and starting to run at the age of 36 was a little scary but I wanted to tell you that the program worked. I was able to go from not being able to run a mile without stopping to being able to complete a half marathon. It was amazing!!! I had a friend who did not want to follow the program and was going to do it own their own and they struggled and had a miserable time during the race. I started the program mid April and was able to complete the Disney World Wine and Dine Half Marathon with my sister on October 1st. I'm now 25 lbs lighter than when I started and now have tons of energy. One of the Most Common Questions I Get Asked is - "How Much Training Should I Be Doing and How Many Times a Week Do I Need to Run So I'm Capable of Running a Half Marathon?" Because no two people have the exact same level of fitness, it's a difficult question to answer. Also some people will have done some running in the past or be more active than others in the first place meaning they're capable of doing more and building up faster. All these factors have a bearing on how quickly you'll progress. By following a good half marathon training program and sticking to it consistently you can expect to make very good improvements. Don't overdo your training, because doing too much can be worse than not doing enough in terms of getting fitter, but if you don't do enough training you'll begin to stagnate and lose interest. My research and experience shows that clients make the fastest improvements in their stamina and endurance levels if they build up to running no more than 3 times a week. These 3 sessions should all be different and challenge the body in varying and progressive ways. Structuring your training like this allows sufficient time in between workouts which means that the muscles can repair themselves and the joints given time to rest. Using this approach also helps to reduce the impact on everyday life because the sessions can be short and effective which allows you to fit them around your everyday tasks. So is There a Right Way and a Wrong Way of Preparing to Run a Half Marathon and is There Anything You Can Do to Make it Easier and Quicker? The answer to this question is both yes and no! Yes there are plenty of running schedules that you can download for free from most of the popular running and charity websites which will plot your half marathon training by the day or week. Unfortunately these schedules really aren't worth the time it takes to download them because all they are is simply a list of distances in miles or kilometers or an amount of time you need to run for each day. They will occasionally contain a few vague running tips, but they won't explain the real nuts and bolts of how to improve your fitness or the theory behind what you're trying to achieve. Don't get me wrong, I'm not saying you need to know enough to be able to write a book on the subject, but you really do need to understand the basics of how your body changes and adapts throughout the course of your training. Knowing this helps you to plot a safe and steady path through your workouts which means you're less likely to suffer injury, lack of progress or the loss of enthusiasm and motivation for your chosen sport. "When I first started running, every step was hard work. The mere thought of going out for a run filled me with dread. The techniques I've learnt from Jago's half marathon training schedule have been invaluable. I have gone from barely able to run a few metres to being able to run over 3 miles (5K) easily. I now run regularly and am currently training towards phase 2 - my first 10k." The Giveaway Half Marathon Training Schedules You Can Get From Most Running and Charity Websites Will Teach You Absolutely Nothing About How to Run or Improve Your Fitness So That You're Capable of Running a Half Marathon. Unfortunately They're Not Only Free, But Also Virtually Useless! You Won't Find Out about how to choose the best running shoes to suit the way you run. This means you'll be wearing footwear that doesn't support your feet correctly meaning there's real chances of long term injury. You Won't Find Out about how to spot the tell tale signs of injuries and niggles so you can sidestep them totally. You won't know which niggles are potentially serious or just aches and pains you can run through. You Won't Find Out how hard your training should feel if you want to see fast progress with your running. Because of this you might never get any better or any changes you do see may be very slow or non existent. You Won't Find Out about how to use the latest up to date training techniques which will turbo charge your fitness and stamina at the same time as actually requiring you to train less. You Won't Find Out about which muscles need to be stretched or when and how to do it, meaning your muscles could start to tighten up permanently leading to serious back and postural problems. You Won't Find Out about preparing for race day and actually running your first half marathon, which means you won't have a clue what to expect on the day of the race. You Won't Find Out how to write motivating goals which keep you focused and on track through your half marathon training so you'll struggle to keep going when you face any challenges that come along. You Won't Find Out how to eat the right types of foods which help to improve stamina and promote recovery between workouts so your training won't be as effective as it could be and you may feel drained and run down. You Won't Find Out about the importance of fluids to your body and what and how much to drink so you can boost your energy levels and speed up the time it takes your body to recover in between your runs. You Won't Find Out how to program and condition your mind so when your half marathon training gets harder, you don't want to give in, you just rise to the challenge and push through it to reach new levels of fitness. No it's Fair to Say You Won't Learn How to Run From a FREE, 'One Size Fits All' Half Marathon Training Schedule That Simply Contains a Chart of Distances or Times to Run Each Day! But Heck, Go Ahead and Download a Copy Anyway, it Won't Cost You a Cent. I know from the experience I've had with my own clients that have tried following one of these giveaway half marathon training programs that THEY DO NOT WORK. They're too simplistic, it's like teaching someone to do a magic trick by simply showing them the trick itself without the actual technique used to perform the trick. If you can, arrange to work with a qualified and experienced personal trainer, an expensive option I know, but the knowledge and motivation you'll gain will be well worth the investment. Alternatively, get hold of a really good quality half marathon training schedule that provides you with all the information you need to be able to set yourself goals and targets, design your own routines and a selection of 'ideal routines that you can work through which will take you to your ultimate destination...running a half marathon. Unfortunately, unless you live nearby, it's unlikely that I can assist you with the one to one training. I've created a do it yourself half marathon training program specifically for beginners, which I've bundled together with some great bonuses that you can have instant access to by following the instructions that I'll give you later on. There is a charge for my training program, but I think you'll be pleasantly surprised at how little that is, especially considering all the extras you'll be getting. But I'll come to that in a minute. Writing this program has taken me nearly 12 months to complete. But when you also consider that the knowledge and techniques inside have been an accumulation of my last 10 years as a respected and successful personal trainer, you'll understand why I am so proud of this system and confident in what it can do for you. Successfully and comfortably run a half marathon at the end of your training, you'll have accomplished something that most people could only dream of doing. Lose weight quickly, build muscle and tone your body. By committing to something like this, the chances are as a side effect, you'll get in to the this best shape of your life! 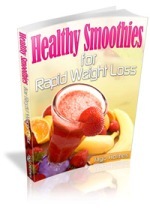 Radically improve your health. Keep up with your training and you'll have more energy, be thinner, happier and live longer, you'll just feel great most of the time. Supercharge your energy levels on demand. You'll know exactly how to create your own 'feel good factor' which you can turn on and off like a tap. I've designed these eBooks for beginners and that's the way I planned it, but even if you're an experienced runner I guarantee you'll learn a few things to help you to get better, much faster and reduce the amount of time you need to spend training. As far as I'm aware it's the only half marathon training program of it's kind that has been designed to take beginners through three phases of training and on to preparing for and actually running a half marathon. A Simple Step-By-Step Half Marathon Training Program, Full of Practical Tips and Training Techniques That's Easy to Follow and Gets Results! I've written this program so it's easy to use, with very little technical jargon or complicated systems to try and follow. The whole program is broken down in to small and manageable chunks that include simple explanations of exactly what you'll be doing and why. Unlike other half marathon training programs you'll learn how and what you need to do in order to go from a beginner with little or no endurance and stamina to someone who is capable of running over 13.1 miles in one go without stopping. Tell you how to go from beginner to half marathon runner in just a few weeks. It's not possible, I won't lie to you and make promises that just aren't true. Don't listen to anyone who claims otherwise, you can't go from beginner to 13.1 miles in less than 4 months, the risks to your body just aren't worth it. Simply provide you with a chart of times or miles for you to run. Yes my system does contain some training schedules for you to follow, but you'll know why you are doing what I suggest because of all the information included in the guides. My program also takes in to account the lack of time that most people have in their lives and provides effective alternatives to the 'traditional' way of training. Suggest that you waste your money buying expensive training gear or supplements to 'enhance' your performance. I don't promote or sell any myself and I wouldn't recommend something that hasn't been independently tested and proven to make a real difference to your training. Guarantee your results by simply buying this system! My new half marathon training schedulewill give you amazing results and in double quick time, without the possible risks of injury that are common to this type of activity, but you'll only improve if you follow my advice. Tell you how to get better by doing nothingat all. It's important that you are consistent with your workouts. Yes my system is perhaps one of the easiest and fun ways of training to run a half marathon, but you are going to have to work at it! Everything for you! You will learn how to improve your fitness, stamina and endurance in the fastest time possible, I guarantee that and if you consistently follow my advice, you WILL be able to run a half marathon comfortably. I'll provide the techniques and the system, so all you have to do is go out and use them! Provides you with a step by step system which reprograms your body gradually over the course of the plan to be able to comfortably run 13.1 miles in one go, without stopping and in less time than you thought possible. You'll discover exactly how and why your body responds to the training you'll be doing and learn the tricks of the trade which will both speed up your progress and reduce the risk of suffering from injuries. Give you honest, no nonsense gimmick free advice and guidance! You'll learn EXACTLY how to use the latest state of the art training techniques without any of the technical jargon most 'experts' feel they need to use. Because of this you'll find it an interesting and enlightening read. There really is a lot more to running than just getting out and...running. You can take it for a full 60 days 'test drive' if you like so you have enough time to try the programs and see if you don't make the progress I know you'll make. Just try these advanced training techniques before you make any decision. If you aren't fitter, stronger and more confident in your running then let me know and I'll happily sort you out a refund. Provide you with all the tools you need to get you from a complete beginner to half marathon runner in just 20 weeks from now. After reading these superb manuals you'll never train the same way again. No more frustration at your lack of progress, no more down days, no more guessing at what you should be doing and no more disappointing improvements. Because of the preparation you'll do and the way the system is structured to hit mini targets you'll stay motivated and driven - 98% of beginners never even get past week 2 of their training. But the reason you won't be just another one of these statistics is because you'll be following my half marathon training program which will prepare you to face up to the usual problems runners have to contend with. You'll see regular and consistent improvements - because of the progressive nature of the system, once you've accomplished one thing, you then move on to the next and so on. Well there you have it, I want you to know exactly what you can and can't expect from following this half marathon training program. I want you to understand how the information that I'll share with you can bring you real results for your efforts...all risk free! You'll become your own running expert once you've read and applied the information within these manuals. Friends and family will come to you for their training advice. Half Marathon Training For Beginners is More Than Simply a Running Schedule, it's More Like an Encyclopedia of Modern Training Techniques. You'll Get Every Single Detail You Need to Be Able to Go From Beginner to Half Marathon Runner in the Shortest Time Possible! I won't simply tell you to blindly follow the schedules (although you can if you like), because I will explain exactly WHY you are doing the training you are and what changes you can expect to see by following my advice. This means you'll know how to design your own half marathon training program if you'd rather not follow mine. You'll improve much faster by using this training program instead of some of the simplistic 'one size fits all' training schedules there are out there, because the advanced techniques you'll be using, push your body safely on to a series of new levels, it has no option but to get better! You'll learn all there is to know about running a half marathon, from the 'grass root' basics right through to the effective preparation and completion of your first half marathon. You'll find out which types of foods you need to be getting more of and which ones will hamper your progress. This way you'll fill up your body's petrol tank with energy giving fuel instead of sabotaging your half marathon training by choosing foods that make you feel tired and exhausted. By following my half marathon training schedule you'll discover that there is a lot more to running than simply plodding along week after week. You'll find out some ultra effective and enjoyable ways of training that give you a massive shot of feel good hormone every time you finish. How to steer clear of 'overtraining.' Because of the way I've designed this program, the chances of you overtraining are virtually non existent. You'll learn what the signs of it are way before it affects you and puts a halt to your training. The 3 very different phases of half marathon training that you need to complete in order to take you to your ultimate goal. I've broken your training down in to small, manageable, bite size chunks so it doesn't feel like a huge mountain to climb. Some great time saving tips that make the best of your workouts allowing you to get more from your training without disrupting everything else in your life so you do have the time to do it! How to conquer the fear of failure, by preparing your mind so you can see yourself running a half marathon long before you can physically do it. The reason why setting yourself goals and targets is so important and why you'll improve not only your running but every other aspect of your life if you start doing this one simple thing. I'll show you exactly how to write goals that inspire and motivate you. How getting the foundations of fitness right from the start can make the rest of your running towards a half marathon a breeze. Simply follow the easy training schedules so you reach race day full of energy, confidence and excitement about the challenge ahead. With a flexible half marathon training schedule to follow, you'll make constant and regular progress. You'll know how to make changes to what you're doing so you can plot a smooth course around life's events, meaning you'll stay focussed instead of quitting the first time you're faced with any challenges. If 'Half Marathon Training For Beginners' is so great and can teach me all this, how come I've never heard of some of this stuff before? Sports science is continually developing and pushing the boundries further and further, allowing us to make more efficient use of our training time yet still getting faster, fitter and stronger. This half marathon training program contains THE latest up to date training advice for taking runners from beginners to half marathon runners in rapid time, most of this knowledge simply wasn't available of a few years ago! Full time athletes, use these techniques to speed up their progress so they don't get widely reported...but they have all the time in the world to train and only one thing on their mind...running. But for most people, the techniques you'll discover, enable you to quickly build up your strength and endurance so you are capable of going from beginner to accomplished runner without sacrificing every other aspect of your life in order to do so. So few people ever run a half marathon and the demand for this type of half marathon training schedule is not huge, it really isn't financially viable for most experts to devote the time and effort it takes to sit down and put this type of knowledge in to writing, believe me this has taken months to research and create. But I am different, this is my job and my life's passion. I get a tremendous amount of enjoyment from teaching and coaching people to achieve their ambitions, but I also love writing about the things I have learnt during my long and successful career. So to be honest with you, whether this is profitable or not really doesn't hold much interest to me...I just want to share my knowledge and help people get up off the couch to running a half marathon and ultimately succeed in reaching their goals! But wait a second, I'm not quite finished yet with what else you'll learn inside 'Half Marathon Training For Beginners', I still have more to tell you because I've barely scratched the surface of the training insights and running tips you're about to discover. How your body changes and adapts depending on the challenges you present it with. You'll also discover why some ways of training (that most people follow) won't turn you in to runner, instead you're more likely to quickly stagnate and lose interest altogether. How to treat some of the most common running injuries, so you're able to react quickly and minimise the damage caused by a slip, fall or muscle tear. You'll know exactly what to do, to get yourself up and running in the fastest time possible. An alternative stretching sequence that you can do at home which ensures that your muscles are as flexible as possible so you avoid injuries caused by an imbalance in muscle tension. This one also saves you time. How to avoid suffering from the most common foot problems runners complain of and how to fix this problem if you are affected so your progress isn't compromised, meaning you're able to keep training and getting better. How to monitor the level of difficulty that you're working at so you know what you are doing will be beneficial and why training at a certain level of difficulty is guaranteed to supercharge your progress, at the same time as cutting down dramatically on training time. What to eat on race day and when to eat it so you aren't faced with the problem of a dodgy tummy which can really jeopardise your enjoyment of the day or worse case scenario, even stop you from completing the race. Exactly why, when and what to expect on race day so that you're completely prepared and ready for what lies ahead, instead of stressed and nervous because you're not really sure of what's going to happen. How to create your own, safe and effective running schedules that fit around your lifestyle. You'll be able to create a tailored routine to fit around your normal commitments so the rest of your life isn't affected just because you've got a new interest! I think I'll have to stop there otherwise I'm going to be writing for days, but I think that gives you a taste of what I've covered in 'Half Marathon Training For Beginners.' In reality, I've only scratched the surface of what you'll actually learn inside these unique training guides. Once you've armed yourself with the knowledge and training insights you'll find within these running manuals, you really do have an massively unfair advantage over runners who make the decision to train for a half marathon, but choose to 'go it alone'. So What Exactly Will You Get With This Package? MANUAL 1 - 'The Theory' provides you with all the background information and cutting edge training advice you'll need in order to safely steer yourself around the obstacles and difficulties all beginners face when starting to run. You'll be able to turn your dreams of running a half marathon in to a reality in double quick time. This great NEW eBook contains vital half marathon training techniques and time saving strategies, making running longer distances not only physically possible but also practically possible. Let's face it who can spare endless hours a week to train, it's not possible for most of us, we need a system that reduces training times, but gives us rapid results. It's written in an easy to understand, no nonsense way which is ideal for both beginners and intermediate runners alike. How to create motivational goals that create a desire and passion for your training that you may have never experienced before. Because you're improving so quickly, you'll actually see the dramatic changes in your fitness levels. How to eliminate the risks of injuries by analyzing your running technique and buying running shoes that not only complement your style but also support your body and help to maintain an upright posture. How to take care of your feet so you avoid suffering the most common runners blights which more often than not put a temporary stop to your progress. How to eat to enhance your training. You'll find out why getting enough of this one food may well be the difference between finishing the race with huge smile on your face or shuffling home in extreme fatigue and hating every minute of it. How to use the latest technology to enhance and improve your half marathon training and prepare for the race. You'll find out my top suggestions for gadgets that actually work, helping you to get the best from your running. How much training you need to do and the optimum times for doing it so you get the most from every session! How to find out if you're dehydrated and then take action to eliminate this secret saboteur, so you can run easily for miles instead of finding it difficult to run even one. How to supplement your diet - you'll know what works and is worth paying for and what doesn't and is simply a waste of your time and money. Some of these supplements WILL definitely boost your half marathon training progress and improve your stamina and endurance levels. How to use the power of the mind to improve motivation, dedication and determination to go from a complete beginner to half marathon runner in the shortest time possible. You'll discover simple techniques to get you through the tough times without giving up or feeling demotivated and a quick technique to turn every negative thought you have in to a positive one. MANUAL 2 - 'The Practice' guides you effortlessly through your half marathon training, from the idea stage right up to and beyond race day itself. Once you've read this great practical guide, you'll know exactly how to quickly build up your fitness levels and stamina so you are capable of easily running a half marathon. Using the advanced techniques you'll find inside, you'll breeze through your training and achieve your running targets much faster than ever! How to tell if you're pushing yourself too hard OR not hard enough. You'll discover a way of training that ensures you avoid suffering the consequences of either. How to supercharge your half marathon training by using a range of advanced training techniques that literally explode your speed, stamina and endurance levels. You'll get dramatically fitter without having to commit all your spare time to your training. How to stretch properly, which muscles, when and how often also including some little known advanced stretching techniques you can do at home which improve flexibility and save you time! How to make sure you approach race day full of energy and raring to go instead of tired, bored and ready for a rest. Because of this one technique I guarantee you'll complete your half marathon training at your best and fully ready for the challenge of your first ever race. How to use this 'SECRET' trick used by the elite that virtually nobody knows about. It will supercharge your energy levels and dramatically reduce your recovery time between sessions. You'll be able to run further and faster. How to prepare for race day, so you know exactly what to expect and what to do. You'll be ready both mentally and physically for the task ahead! This handy guide provides you with all the information you need to improve your performance and energise your body, from simple tasty menus and shopping lists to easy snack suggestions. The suggested foods don't take long to prepare and are essential for fueling your half marathon training and speeding up your recovery between runs. You'll find out an easier way of eating, by selecting foods that make you feel fuller for longer at the same time as providing you with the energy you need, which also saves you time and money! You'll discover how much you should eat and when to eat it as well as the crucial timing of meals which will boost your energy levels before training. Avoid the normal peaks and troughs of blood sugar levels which you'll suffer if you don't change the way you eat, by using this simple but time tested way of eating. You'll avoid the typical highs and energy sapping lows that affect most people. You'll find out some great time saving hints and tips which make healthy eating whilst following this half marathon training schedule a no brainer. You'll still be able eat foods that support your training even on your busiest days! The #1 biggest mistake nearly every runner makes by NOT getting enough of this important nutrient and why getting just this one thing right will improve the quality of your skin, hair and energy levels 100%! This is literally a 'running diet in a book' solution for you, leaving you to eat on auto pilot, without worrying about what you should or shouldn't be eating, it's all been planned out for you and couldn't be easier! 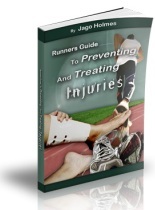 BONUS #2 (value - $17.99) - order now to get 'Runners Guide To Preventing And Treating Injuries' totally FREE! A concise guide detailing in depth descriptions and self help treatment of the most popular niggles and injuries that runners commonly suffer from. You'll find out what the injuries are and the ways of avoiding suffering from them as well as practical guidelines you can follow so you make it safely through to race day in one piece. You'll find out which injuries mean you need to stop running immediately to avoid further problems and which ones may be safe for you to simply train through. You'll learn how fast and effective treatment can reduce the severity of even the most serious of injuries and how you can radically cut down on healing times and minimise the amount of time you're unable to run. Inside you'll learn how making 3 simple changes to the way you live your life can have a huge and beneficial effect on your metabolism. You'll discover ways to boost your metabolic rate so you even burn calories at rest and why doing some types of so called 'fat burning' exercise can leave you frustrated at your body's apparent inability to burn away your body fat. You'll uncover the life long secret to eating well whilst actually losing weight and how the 'eternally thin' seem to never gain weight no matter what they eat whilst others only seem to have to look a cream bun to put weight on. Inside you'll find over 50 of the most mouthwatering smoothies ever created. These are some of the tastiest and easy to make 'on the go' energy boosters that are guaranteed to provide your body with the best of nutrients that absolutely ANYONE has the skill to make easily and cheaply. Ideal for preparing before a run so they can be drunk straight after your training, then they're ready and waiting to boost energy levels and help with post training recovery. These smoothies have been selected because of their balance and combination of flavours, ideal to help get you through your half marathon training. You'll find some great tasting drinks that are low in fat whilst being full of flavour and great to taste! This great workbook guides you effortlessly through the key stages of planning and organising your half marathon training which also helps to motivate you in to achieving specific and realistic short, mid and long term goals. You'll also get some handy templates to use for setting goals, monitoring the progress you are making and planning out your weekly training schedules. 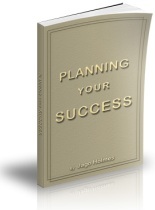 'Planning Your Success' will help you organise your thoughts, goals and training in to smaller manageable chunks. This makes achieving bigger targets a very enjoyable, achievable and rewarding task. In this great little eBook you'll find a range of tasty and nutritious recipes which are both simple and quick to make, requiring absolutely no cooking skills or expertise. 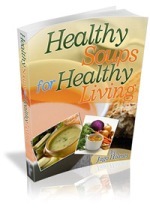 I guarantee anyone can make a great tasting soup, by simply following the recipes contained within this eBook. Soups are not only easy, but nutritious and quick to prepare, exactly what you need when time is short. Each recipe also includes a nutritional breakdown section. Inside you'll find out the 'right' way to eat a healthy balanced diet that helps to maintain constant blood sugar levels, meaning you'll avoid usual the peaks and troughs of the everyday diet, which leave you craving the worst types of junk food. 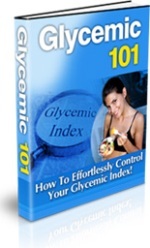 You'll understand why applying the Glycemic Index to your selection of foods could massively reduce your risk of suffering from high cholesterol, diabetes and heart disease. You'll finally be able to gain control of your size forever, so you no longer select clothes to fit your shape instead you'll choose the clothes you like the best! Don't worry, not as much as you might think...in fact I'm sure you'll be pleasantly surprised. If I worked personally with you as a one to one client for an hour, just twice a week for the next 5 months at my normal hourly rate of $60.00 per hour, the cost of this would be well over $2,400.00. The truth is that any of my clients that want to get better at running WILL use this half marathon training schedule at some point or another. If you did approach me to train you exclusively for two sessions a week and teach you everything that you'll learn inside the 'Half Marathon Training For Beginners' training plan it would actually cost you well over $2,400.00 in personal training fees...the very same program you can have instant access to right now and for a tiny fraction of this cost. I originally designed this half marathon training system as a printed set of training manuals, which was going to include shipping and telephone support all for a cost of $149.99. However, even though this would still have cost you far less than the amount you'd have to pay to work with me or any other qualified personal trainer, I felt that too high a price just wouldn't be within the means of most would be half marathon runners. Because I see shipping, printing and phone support as a big drain on my time - I'd prefer to be out there training clients, I decided to offer 'Half Marathon Training For Beginners' at a vastly reduced rate of just $79.50 $37.99, but as a downloadable eBook package instead. This means it doesn't cost me anything to produce, but more importantly, you can have instant access to it and can literally be reading it within 5 minutes from now! I think I ought to just quickly mention that this system isn't for sale anywhere else - it's not in bookstores, nor is it sold on TV. This is the only place that you can get hold of this half marathon training schedule right now. However, I'd like to go a little further to remove any doubts you might have about buying this program because I'm going to actually GUARANTEE your success - 100%. Order today and actually follow my Half Marathon training schedule for 60 days, if you're not convinced that it's worth every single penny, just send me an email asking for your money back and I will refund 100% of your money - immediately! If you aren't fully convinced that ‘Half Marathon Training For Beginners' provides you with all you need to know to be able to run a half marathon as a complete beginner, then you can easily request a full refund within the next 60 days. But if you do decide that this half marathon training schedule isn't what you wanted, I'd still like you to keep all of the FREE bonuses which if bought separately would cost you a total of $115.99 as my way of saying "Thanks for trying it out!" NO QUESTIONS ASKED…no sneaky rules or small print. You won't even be asked to give a reason why you'd like a refund or even prove that you've at least tried the training programs! All you have to do now is place your order by clicking on the 'Order Now' button below. The cost for everything shown is just $79.50 $37.99 and you'll be able to try it risk free because of my 'no questions asked' 60 day money back guarantee! After clicking on the 'Order Now' button, you'll be taken to an order page where you simply need to follow the instructions on screen to receive instant access to the program and bonuses. Literally within just minutes from now, you could be starting your half marathon training. If this superb NEW program doesn't motivate you in to taking action to start your half marathon training...then nothing will! You don't even risk a penny...because of the unique guarantee I'm giving you. You're probably wondering why I'm offering such an open, honest and generous guarantee? I know when I've bought something of quality, something that delivers on it's promises, I'm happy that I've spent my money on it and feel that I've got value for money. What I hate is when I've bought something that is plain and simply a complete rip off and has no quality or value to it. I mentioned to you earlier that I'm a working personal trainer. I work with clients every day, I get an enormous sense of satisfaction and achievement from the results that I help my clients achieve...I get paid to make a positive difference to peoples lives which I find is an incredibly rewarding feeling, I do genuinely love my job! I'd like to share my knowledge and experience with you to help you to achieve some your goals and ambitions, although we've never met. But I'd like to ask something from you too. I you'd genuinely like to train to run a half marathon and think that you might benefit from a little extra motivation and guidance that this program will definitely give you then why not GIVE IT A TRY. If after using the techniques you'll learn inside you decide it's not the solution for you, simply email me for a full and complete refund, it's as easy as that. THIS SYSTEM WORKS...that's a fact. I've based it on the 10 years of experience I've had working with runners of all shapes and sizes and differing fitness levels. The principles you'll learn inside these manuals really do hold the key to improving your ability to run further, faster and for longer. I know that once you've read the manuals, you'll be staggered by the amount of knowledge and insider secrets, training tips and advice that you'll learn. This is why I'm so happy to offer such an incredibly open, honest and risk free money back guarantee. The way this offer is structured, you can actually test it out for free. If you don't improve your ability to run DRAMATICALLY by following this half marathon training program, you can ask for your money back. But I can tell you this, the secrets and techniques you'll learn will definitely change the way you approach running forever! I'd really like the chance to help guide you safely through your half marathon training, so that you have the knowledge, fitness and confidence to run your first 13.1 mile race very soon. Everything you've seen can be yours for just $79.50 $37.99. All you need to do is click through to our secure order page and follow the simple on screen instructions. From there you'll be able to instantly download all of the manuals within a few minutes. P.S. Please remember there's no risk to you whatsoever for trying my half marathon training schedule. If you aren’t happy with the manuals and don't see the changes to your fitness and running stamina, then just send me an email to the address you'll find clearly shown on my 'contact us' section at the bottom of this page and I'll instantly issue you a full and complete refund. I've used this half marathon training system on hundreds of my own one to one clients, so I know it works...incredibly fast, I guarantee it will also work for you too! P.P.S. Don't forget that when you order 'Half Marathon Training For Beginners' you aren't just getting 2 information packed training manuals, you'll also receive all of the 7 great bonuses absolutely FREE. These manuals in themselves contain loads of vital information which will help you to safely and effectively progress your training. P.P.P.S. There's just one thing I feel I should mention here. This is a new product and I'm testing the bonuses I offer with the package, so I'm not sure how long these particular bonuses will be offered for FREE as part of this package. You do need to act immediately to guarantee both that you won't have to pay more for the program and that you'll also get the additional bonuses for FREE. So if you place your order now, you won't miss out on this great bonus package deal! PLEASE NOTE: 'Half Marathon Training For Beginners' is a downloadable eBook package. Once we've received your payment, you'll be sent details of a secure page where you can access your eBooks immediately. You can then instantly download them to your own computer where you'll be able to view them on screen or print them out for your own use. My half marathon training program has been the secret behind hundreds of new runners going on to run many races, taking them from complete beginners to accomplished and successful runners and it will work for you too, I guarantee it or you can keep the system for FREE...I’ll return your money, it’s as simple as that.